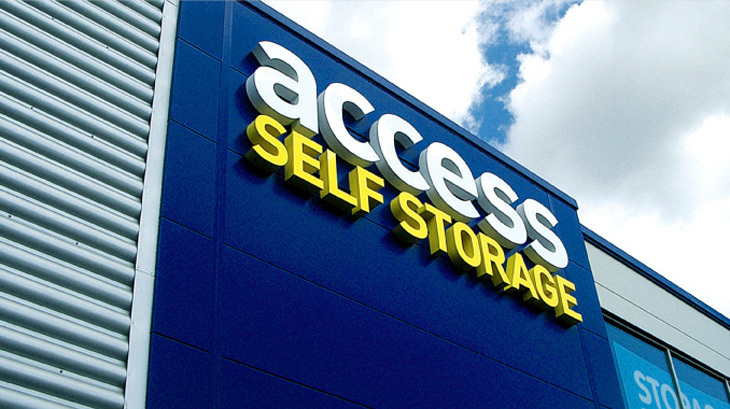 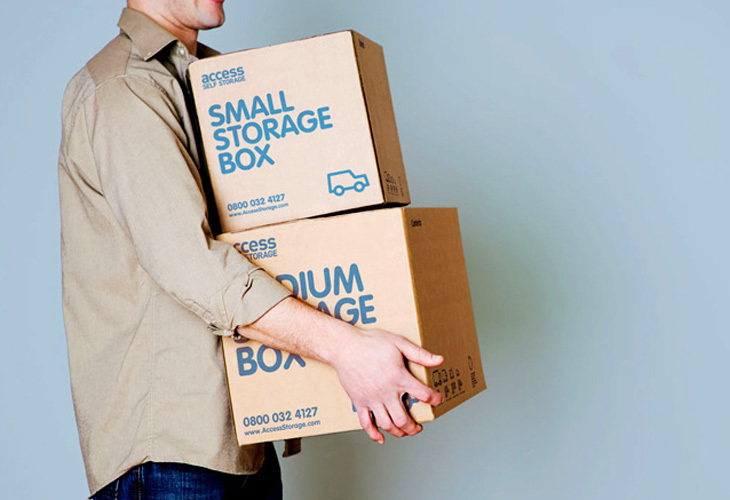 Access Self Storage is one of the top three leading storage brands in the UK. 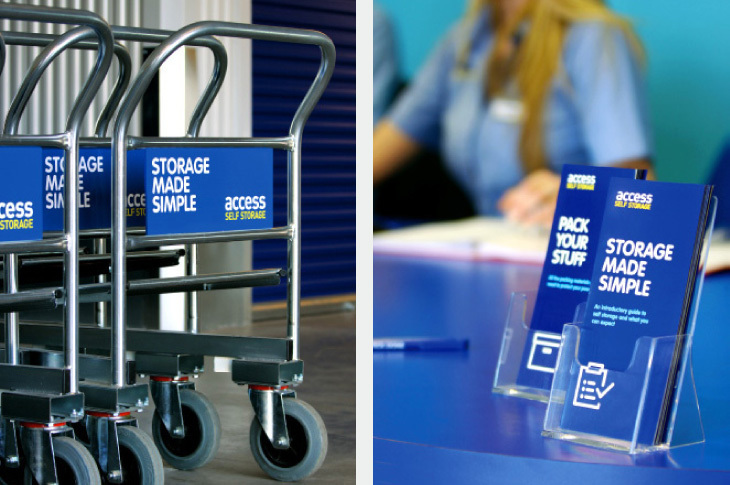 Customers were unable to differentiate and shopped by price rather than quality of service. 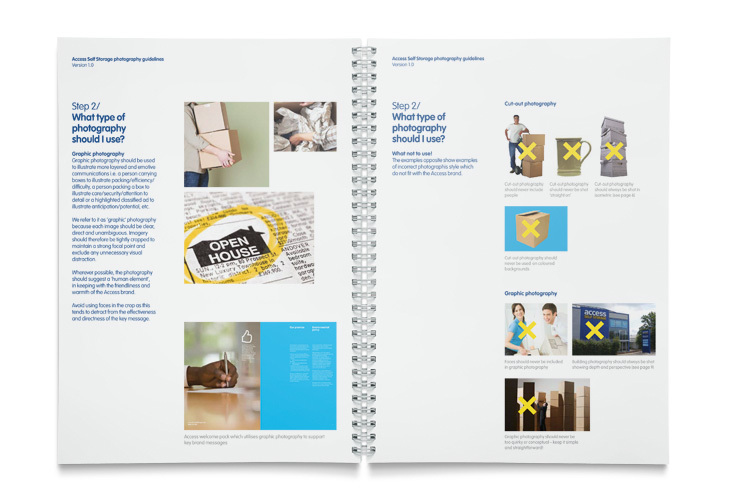 We helped them rebrand the experience from the top down and to simplify their processes – uniting the way they work and how they communicate to their consumers. 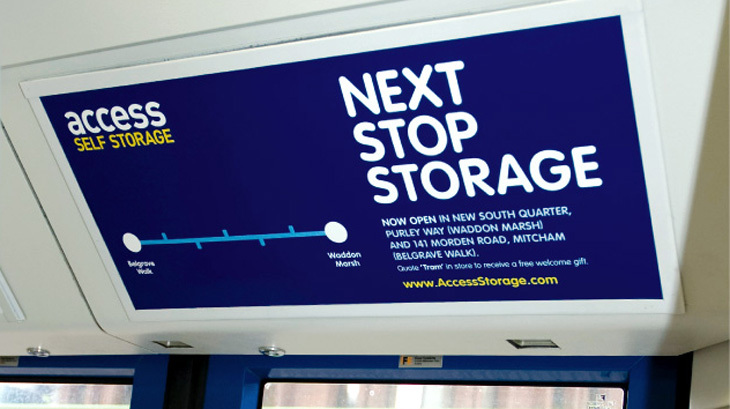 This gave them a crucial edge over their rivals and enabled them to sit in pole position for the first time. 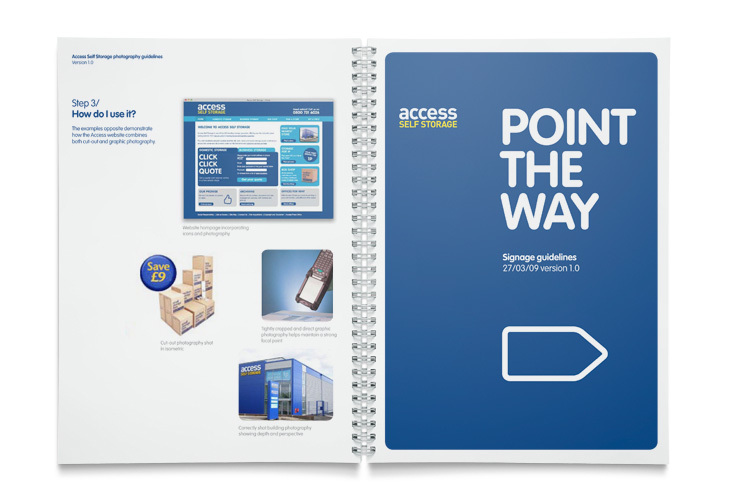 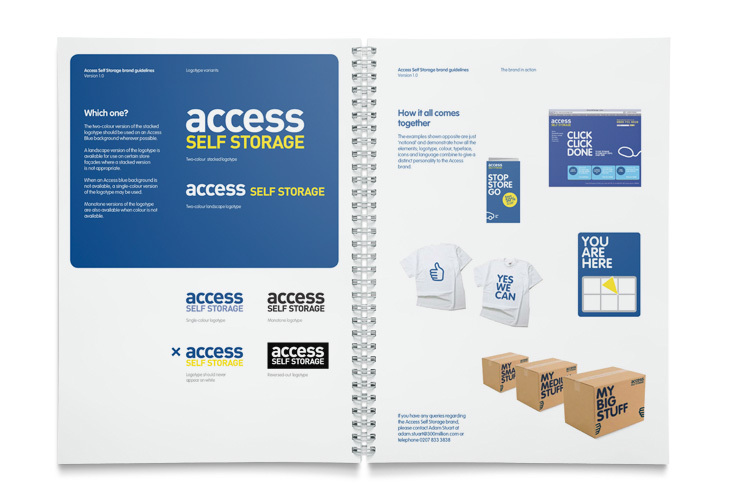 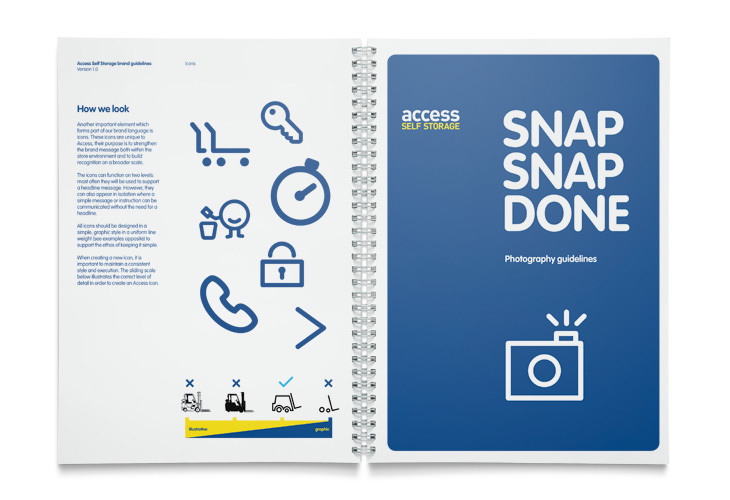 The brand has been implemented across all touch points on the customer journey – from advertising through to the welcome packs when renting a storage unit. 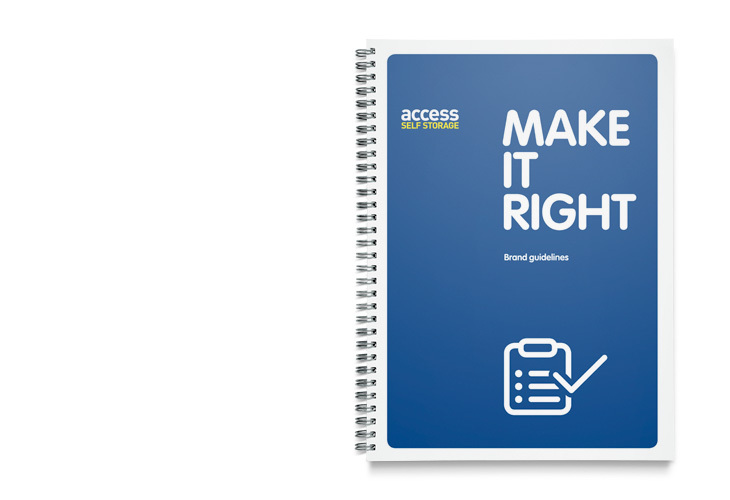 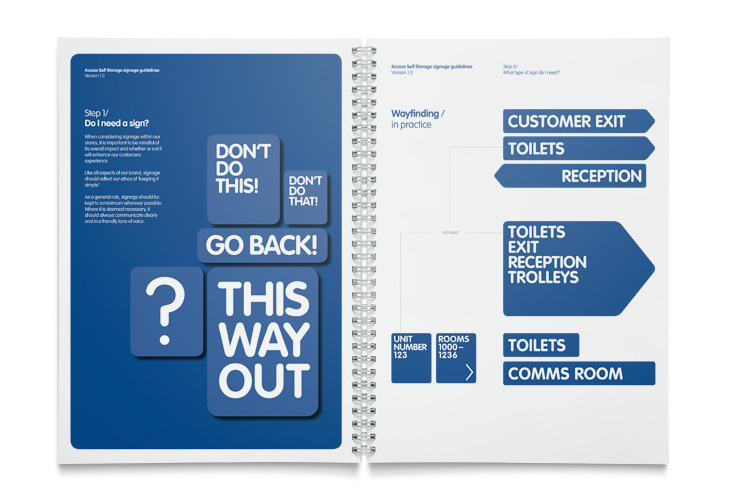 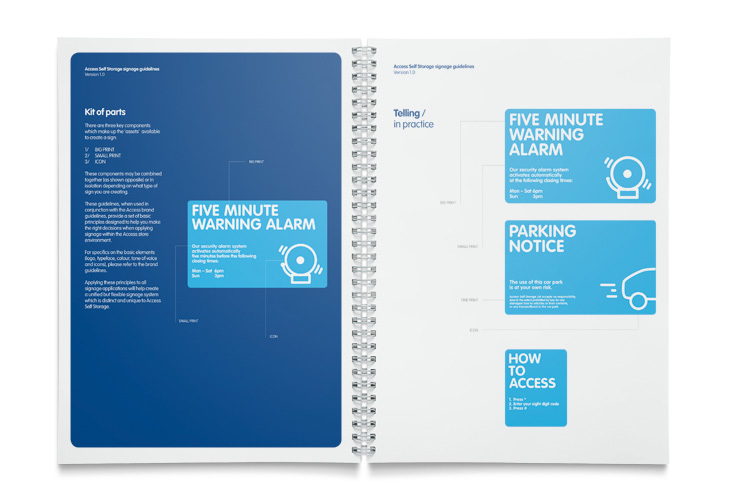 Guidelines were created to assist in the implementation of signage across all sites that is both practical and engaging.